Biya Names New Government At Last! 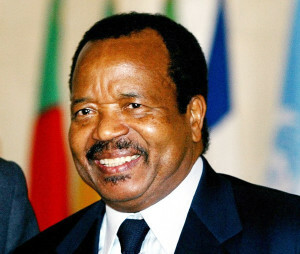 Despite long-running rumours, many Cameroonians were taken unawares when President Paul Biya announced a new government on Friday, October 2, 2015. In the new government, the President maintained the Prime Minister Philemon Yang against popular expectations, but equally brought in a few new faces. Former Sports and Physical Education Bidoung Mpaktt, a charismatic figure who was surprisingly booted out of office some years ago, equally made a spectacular return to his old portfolio. A new government was expected since the council and parliamentary elections of September 30, 2013 following a long-held tradition, but President Biya mysteriously kept both the political class and the general population guessing. The wait is finally over. You can also see the complete composition of the government and the list of sacked ministers here.